Come To The Discord Group! 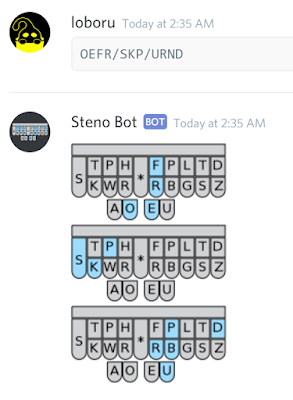 Meet Stenobot! Ted whipped us up a bot called StenoBot, who displays all steno code written between backticks on the Learners channel (and on other channels if you start the line with !). It's very cool. Come check it out at the Discord Group!